Trying to make sense of it all…and sharing along the way! Access – what should the kids have access to? This also includes items they can help unload and put away from the dishwasher, as well as items they need to eat or drink. Capability – Can your child operate the toaster? Can he/she make their own sandwiches, or pour milk to drink or for cereal? Responsibility – Part of this is the ability to clean up after themselves (unfortunately spills will happen A LOT – so they need access to rags/paper towels) , as well as what expectations you have – are your kids responsible for setting up the table? Then they need access to plates, napkins and utensils etc. My then 2 1/2 year old on our learning tower cooking fun! We love our learning tower! It actually can support both our kids (although shoving does happen). This tower enables kids to stand at level with kitchen counters. They love watching me cook – it does teach self-control as well – since my kids know they can’t be touching and moving everything when I’m cooking. They have helped me chop vegetables, stir batter etc. on this. I’ve also placed this by our island so they get to work on puzzles or color while I putter around… The tower has 4 levels so you can adjust as your child grows. My kids have slid in and out of this and it has proven to be pretty sturdy. We’ve moved three times and all three times I’ve been able to find a spot in the kitchen for a drawer or cabinet where the kids can access their own bowls/plates/cups/utensils. Another plus is they empty the dishwasher and know where they can put their stuff back – our toddler has been doing this since she’s been able to grasp and walk (with varying degrees of success but she does it nonetheless). I’ve found that the fear of little fingers getting squished to not be an issue. 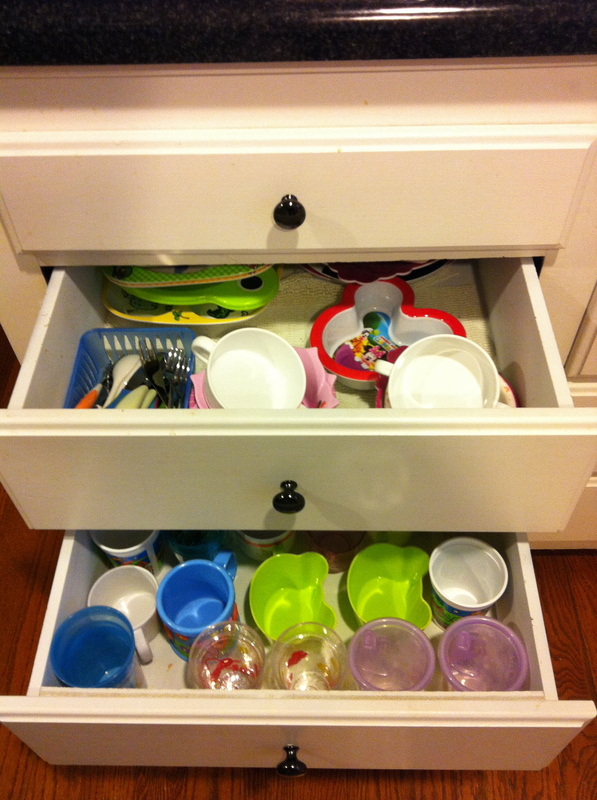 It is important you show them first how to reach in, where things are and how to close the drawer. My oldest has never caught her fingers in the drawer and my toddler did it once (and never again, she’s figured to close the drawer with her little belly instead while holding her plate and cup in both hands LOL). Kids are resilient and rise to the occasion when given the chance. Stainless Steel Chopper — We’ve used our so much I’m not even going to show a photo of it – mine is Farberware but I can’t seem to find it on their website – But they had it in the Bed Bath and Beyond site. You can probably find it in any major store. Our daughters have used this to help me chop carrots and celery. TAKE NOTE – always attended by me. I like that they can use both hands to hold on to the handle and chop down. 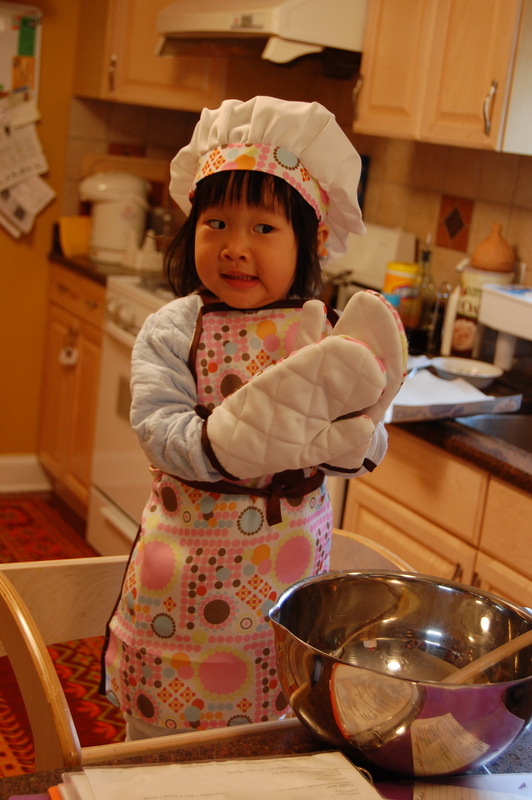 It is important to note that Kitchen Independence does not mean overlooking safety – we are not advocates of ‘oh well they get hurt and they’ll learn’ , yes, kids get hurt but it is our responsibility to teach them well, set expectations and guide them. In many ways the right way to independence (in my opinion) is harder than doing it for the kids or leaving them to fend for themselves (the two opposite ends of the independence spectrum). It means being watchful but not hovering, guiding but not ordering. It is a balance that I try to learn/practice everyday. See Part 1 – Building Independence in the Bedroom and stay tuned for Part 3 – Building Independence in the Bathroom next week! I'm a husband, father, Certified Financial Planner and Certified Private Wealth Advisor who enjoys sharing tips and stories on the fun & craziness of parenthood and how to "De-clutter, Organize & Repurpose" (D.O.R.) all areas of life. So, open the D.O.R and enjoy life more! See my very first post for additional information about me, your friendly blogger who's just trying to make sense of it all! Repurpose Cardboard Boxes into Kid Crafts/Toys! Parents, are you your child's toughest art critic? How to Organize Your Kid's Closet!